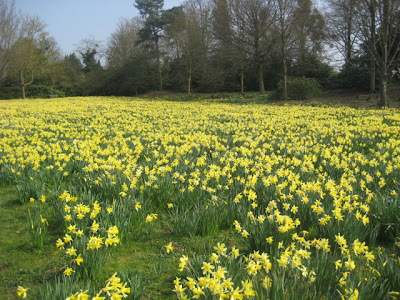 Wissy's blogspot: Wordless Wednesday ~ "Daffodil Meadow"
Wordless Wednesday ~ "Daffodil Meadow"
Beautiful! What a wonderful sight to see. Have a great day! Simply gorgeous...I want to sit in the middle of the meadow for hours reading a book! How lovely! Wordsworth would be proud! Long time no see. What a lovely capture and such a happy flower. Important news flash from the BBC. Wordless Wednesday ~ " The Archer's View".